Deven and Heidi are wonderful! I started coming a few weeks ago when I was almost 7 months pregnant. 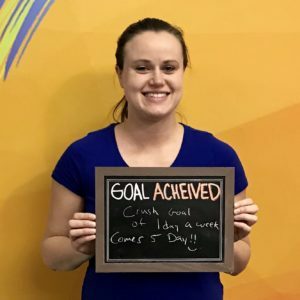 I was initially nervous since I’ve never done strength training before, but that quickly went away as I saw how knowledgeable and supportive they are. Class sizes are limited which allows focus on each individual person. I walked in with the mindset of just staying active as long as was safely possible. I now feel like I’m on a program that not only helps me stay active, but gives me energy and will benefit my recovery after birth.